Suspect tells police they were ‘sent’ from Sudan, source says. 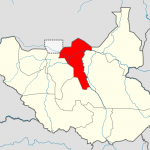 JUBA, South Sudan (Morning Star News) – Muslim extremists from Sudan have been arrested in connection with the burning of a church building in South Sudan, sources said. “I learned that those who set our church on fire were sent from Sudan purposely,” said a church leader who wished to remain unnamed. The following week his congregation of nearly 200 people held their worship service in the open air in the remains of the charred church building, a structure of unbaked bricks. Most church members are ethnic Nuba who have fled bombing of civilians in South Kordofan in Sudan’s fight with rebels. The fire burned both the exterior and interior of the structure, destroying all chairs, a pulpit and some copies of Arabic Bibles. Authorities arrested a Muslim suspect, identified only as Tia, who revealed the names of three other Muslim suspects, and police also captured them, including one identified only as Mohammad, sources said. 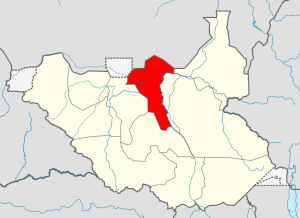 One of the arrested men said they were sent from Sudan to attack churches and aid workers helping Nuba Christians from Sudan, a local Christian leader said. Over the past year, three church buildings were reportedly burned in Yida, home for refugees that number nearly 70,000, according to one estimate. Most of them are Nuba Christians from South Kordofan state who believe the Islamist government of Sudanese President Omar al-Bashir is targeting Christians and bombing churches as part of its war against rebels. Ethnic Nuba, along with Christians, face discrimination in Sudan, where Bashir has vowed to adopt a stricter version of sharia (Islamic law) and recognize only Islamic culture and the Arabic language. The Nuba people have longstanding complaints against Khartoum – including neglect, oppression and forced conversions to Islam in a 1990s jihad – but as Sudanese citizens on the northern side of the border, they were never given the option of secession in the 2005 peace pact between northern and southern Sudan. The rebels in the Nuba Mountains were formerly involved with the southern Sudan People’s Liberation Army (SPLA) forces fighting Khartoum before the 2005 Comprehensive Peace Agreement (CPA). Fighting between Sudan and South Sudan broke out in June 2011, when Khartoum forcefully attempted to disarm the SPLA-N in South Kordofan by force rather than awaiting a process of disarmament as called for in the CPA. When the CPA was signed in 2005, the people of South Kordofan were to vote on whether to join the north or the south, but the state governor suspended the process. A ministry leader who visited Yida last week confirmed the burning of the SCOC building. He described it as an act of the devil but asked for prayers that those who carried it out would repent.